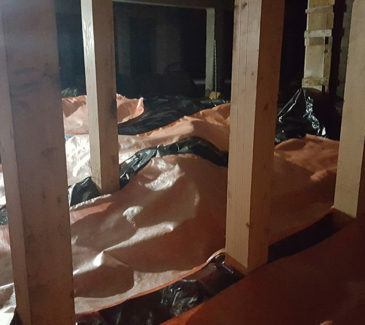 This project was performed as an Interim Remedial Action at a former Safeway location in Astoria, OR. 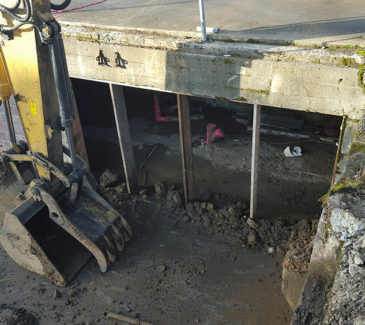 AEC was subcontracted by the City of Astoria’s Design Engineer, AMEC Foster Wheeler, to perform the removal, transport and disposal of hazardous stockpiles from two locations onsite. 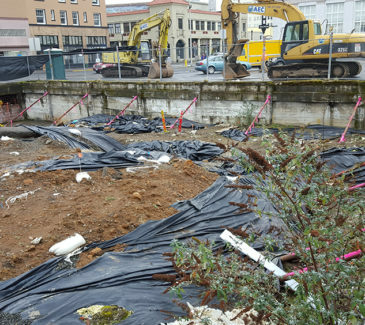 Additionally, a previous contractor working on a construction project adjacent to the site had stockpiled clean overburden on the Safeway property which also required removal, transport and disposal by AEC. 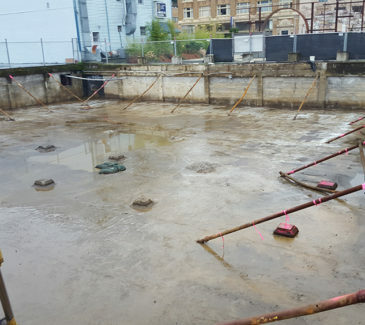 Following the permitting and mobilization phases, AEC began excavating and loading all non-hazardous soil from the basement area (1400 cy) and below the parking deck (200 cy) of the property. 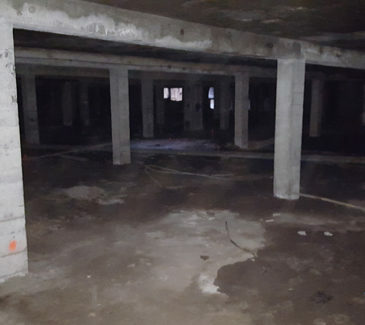 During soil removal activities, cracks were observed in the elevated concrete parking deck within the excavation area. AEC was required to install an engineered shoring system which consisted of waler shoring beams to support the parking structure above, and remove the remaining soils with a vacuum truck. During AEC’s excavation, we encountered a small amount of debris which was safely removed with our excavator and stockpiled adjacent to the excavation area for testing. Once test results confirmed the debris was non-hazardous, it was loaded into trucks for disposal with the clean soil. 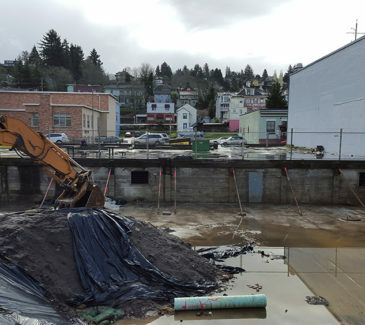 In total, 1600 cy of clean soil was transported to a designated quarry fill site on the City of Astoria property and approximately 100 tons of contaminated soil from below the parking deck was removed and disposed of at the Waste Management Subtitle C landfill facility in Arlington, OR. Once all excavation activities were finished, AEC performed equipment decontamination procedures using a pressure washer and the resulting minimal amounts of water were pumped out using AEC’s vac truck and disposed of with the last contaminated soil leaving the site.